The ability to visualize your self in different situations will assist you in transforming energy from negative to positive instantly. No matter what I may feel, what I may see or what others may do – I know and trust and believe in GOD and in what GOD is doing in and for me for my greater good. When I feel the least and see the least, that is when I know GOD is doing the most in my life. This paper gives and overview of the purpose of classroom management as it pertains to the understanding of individual behaviors and emotional development of students. Motivational factors are contributing attributes for the potential success of a student. Structured lectures and lesson plans assist with the students’ ability to function and develop within a course and the utilization of advanced educational technology enables students to exhaust additional resources for academic success. Classroom management requires an understanding of individual behaviors and emotional development as well as group dynamics. The ARCS Model of Motivation: Attention (A), Relevance (R), Confidence (C), and Satisfaction (S), is one method an educator uses to facilitate the dynamic of the student experience in classroom management (Keller, 1987). Students require a variety of components for educational success. The students’ growth and development depends on the ability to effectively understand the curriculum. The responsibility of the educator is to teach, encourage and motivate the student to achieve the highest understanding of the topic. Qualitative factors of student development and behavior toward curriculum suggest the educator utilizes a blend of understanding student motivational factors, sound organizational strategies, and access to advanced technologies. Academic motivation of a student begins with the individual behaviors and emotional development. Motivational stimulation is vital to understanding how to develop and manage the students’ classroom experience. The ARCS Model of Motivation explains the facets of attributed learning comprehension of the student as it relates to motivation (Keller, 1987). Using a positive direction along with high intensity curriculum, the ARCS Model of Motivation moderates intensity factors (Guven, 2009). There is a familiarity of expectation out of a course from a students’ perspective, which drives the students’ initial motivational factors. To effectively motivate students, educators need to analyze and identify each student’s individual motivational necessities. The educator is responsible for recognizing when a student is lacking motivation and experiencing difficulty in the class. The educator must strive to build the confidence of the student through a structured curriculum for the student to learn in a more effective way. Active and constant communication between the educator and student are vital tools for the success of the student. A strategically developed classroom lecture provides the student a course outline for the expectations of the student in the course. A weekly detailed course module gives the student an academic flow chart of topics, assignments, and due dates. The lecture and classroom management structure is the responsibility of the educator, and utilizing advanced educational technology permits for a fluid student academic experience. The 21st Century classroom is designed, developed and determined by group dynamics used within advanced educational technology. Students are encouraged to use a multitude of educational technologies to include software such as Turn It In.com, Grammarly, Smart Thinking and eBooks. Students have the ability to interact directly with peers, educators, and libraries using online resources. For technology to be a successful tool in the curriculum, the student must feel comfortable with the software being used (Palloff & Pratt, 2003). Educators offer online lectures and “Virtual Office” hours, which can enhance communication and assistance in a technologically dominant learning environment. Classroom management strategies involve a sympathetic arrangement of understanding individual student behaviors, development tactics, and effective learning dynamics. Promoting a positive environment that motivates the student starts with the four dimensions of the ARCS Model of Motivation: Attention (A), Relevance (R), Confidence (C), and Satisfaction (S) (Keller, 1987). Students require constant academic reassurance and stimulation. Each student is an individual when it comes to learning tactics; effective educators understand that not all students learn the same way. Planning, implementing and developing course lectures are important factors of how the student understands course topics. Immediate access to resources, such as: online forums, email and live librarian chat sessions enable students to grow with technology. Effective academic classroom management starts with an understanding of the students’ academic and behavioral needs, strategic plan, effective communication, and utilization of technology. Students. Turkish Online Journal Of Distance Education (TOJDE), 10(3), 217-246. Keller, J. M. (1987). Development and use of the ARCS model of motivational design. Journal of Instructional Development, 10(3), 2 – 10. For your character becomes your destiny. 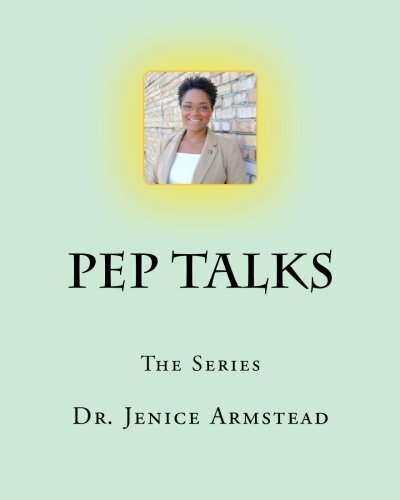 This Thankful Thursday, I want to celebrate my thankfulness for the completion of the “PepTalks” Series. It was a long and hard journey, but with persistence and motivation goals are attainable. I will be signing and speaking about the “Pep Talks” series at the next book signing on May 17th, at Barnes and Noble in Tampa, FL at Wiregrass The Shoppes. The Pep Talks Book Series is an introduction to a new way of interviewing and obtaining a job in today’s competitive market. The Pep Talks Book Series is all about giving the reader an advantage over their competitors when working toward the goal of gaining more knowledge and understanding in this new job market. This new job market is all about unconventional ways of obtaining knowledge while gaining the desired employment. The Pep Talks Book Series explains how the new Job market knowledge and understanding how to better improve the chances of being “individually recognized” as a professional are vital. The Pep Talks Book Series assists with building job confidence and self-esteem along with providing detailed examples for the reader to use for interviews. The Pep Talks Book Series are designed to assist the reader in planning, executing, and managing their own career and potential growth in their field of choice. Each section has an interactive “fill in the blank” area for guiding the reader with critical thinking activity examples to assist with brainstorming, and “Confidence Boosters” provide the reader with constant motivation for obtaining their “dream career.” The Pep Talks Book Series can serve the newly looking or the long-term job seeker with methods that will assist with the career search and provide motivation for future endeavors. Personal awareness is all about finding your inner and deepest level of motivation for doing, being and having a particular thing. That thing can be a new job, a better relationship, improved finances or any other “thing” that you find you need or want in your life. Personal awareness has the ability to enlighten and bring more clarity to a person’s conscience. Learn to monitor yourself. When you realize that you have control of you and your actions, you will be able to better monitor yourself and know when to remove yourself from hostile situations that may cause you to lose control of your yourself. After you have submitted your government application wait until the job announcement closes to check the status of your application. Log into your www.usajobs.gov profile and click on the title “Application Status” on the left hand side. Then find the announcement you wish to check on. Go to the “application status” which is a blue underlined word and click this hyperlink. Some government agencies don’t link the application status to this hyperlink and some agencies do. If the agency does use this hyperlink, you will be redirected to the agency website where you submitted your original application. You will be able to view the status of your application here. If the agency does not use this hyperlink, it will say “no application status available” this is okay. Don’t be discouraged. Click on the job announcement title and a second window will open up. Scroll down to the bottom of the job announcement and find the point of contact. You will see contact phone number or an email address. Contact this person and request the “Applicant Status.” Sometimes, you may get a HR Specialist whom doesn’t want to talk or gives you a vague answer. If this happens, ask a more specific question like “Has the selecting official received the list of applicant’s resumes that have been referred and qualified for the position?” This will ensure you get a more detailed answer. I recommend always contacting the point of contact via email; this will ensure you have written documentation in case you have any issues with this job announcement in the future. All the best to you, and if you have any questions – you know where to find me. Each of us has the ability to visualize. One can think of a rose, either to picture it or feel it, it is all about focus and staying focused on the object and start to see and smell it as if it were in front of your face. This is the process one would use in order to become more aware of the energy in and around the current environment. You can learn to feel the emotional energy in a room of people using the same process, by picking out which person is emitting energy that is feeling anxiety, upset, or joy. You can learn to change the effect of that energy by closing your eyes, focusing with precision on the energy that is bothering you, and changing its impact with your mind. Just as you can close your eyes and visualize and smell a rose, so can you use the process of visualization to heal people and work on energy that you do not like, or would like to evolve in your being. Counting has become the fabric of our culture. We count the amount of “Likes” to a photo, we count “views” to postings, we even count how many “friends” we have online. All in all, counting has become another form of power and stature. Counting is over rated; does it really matter if we have more “counts” than someone else does? The only thing that should count is how good we are to each other, our family and our self. Instead of counting likes, views and postings let’s make it our joy to count our blessings. Many people know that government jobs pay, but most people don’t know much. The truth is – government jobs not only pay well, they for the location expenses of the position as well. Government agencies have different pay scales. The key to selecting a government agency is to research and find out as much as possible. You must research the agency and the pay scales of the agencies. Find out about the locality pay, hazard pay, or any other positional pays that may be associated with the agency. We all know that pay is important aspect of any career selection, so the government is no different than any other position you apply for. With a few exceptions…the government has great benefits that no other civilian company can match – exactly. Where people get confused is with the General Schedule Step grades (GS). GS pay scales for the Office of Personnel has pay grades within the pay grade called STEPs. When you review the GS Pay scale on OPM website you will see basic, locality and then there is also a pay scale that combines basic pay and locality depending on the location of the position. Among the pay scale are the steps of the pay. Steps are normally given to the pay grade employee depending on “time in grade” the normal promotional time period is 1 year per pay scale and step. Always continuously grow and develop your trade. 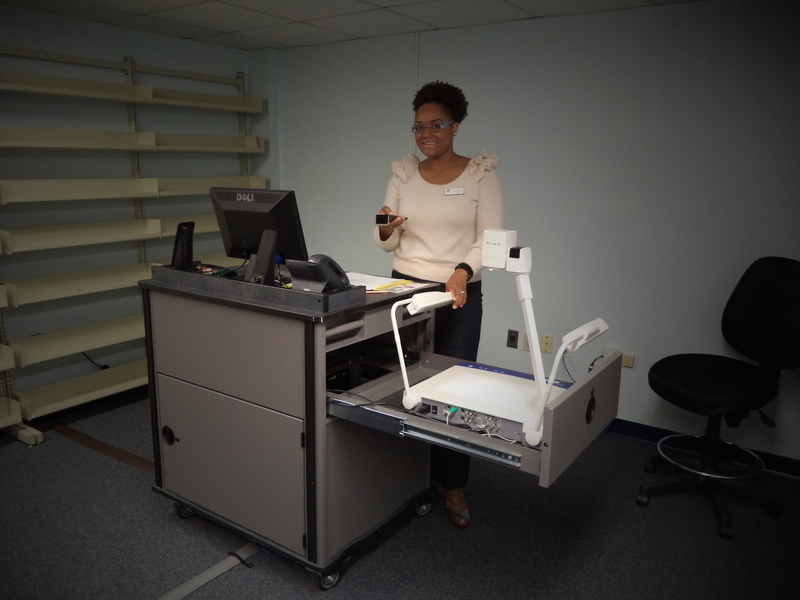 Being a Professor at Saint Leo University, technology is used as a learning tool in the traditional and non-traditional classrooms. Using software such as Prezi, Blackboard Collaborate and Video Teleconferencing are the entire craze in the post secondary education sector. Using updated software is not only an excellent way to get students interested topics, but it allows for professors to utilized other instruments to “live in up” lectures. It is a win-win for everyone. I recently took the initiative to receive training on Prezi (Live Streaming Presentation Software), Blackboard Collaborative (Online Distance Learning Program) and VTT (Video Teleconferencing Technology) to improve my lectures. Take some time today to learn and grow your trade. 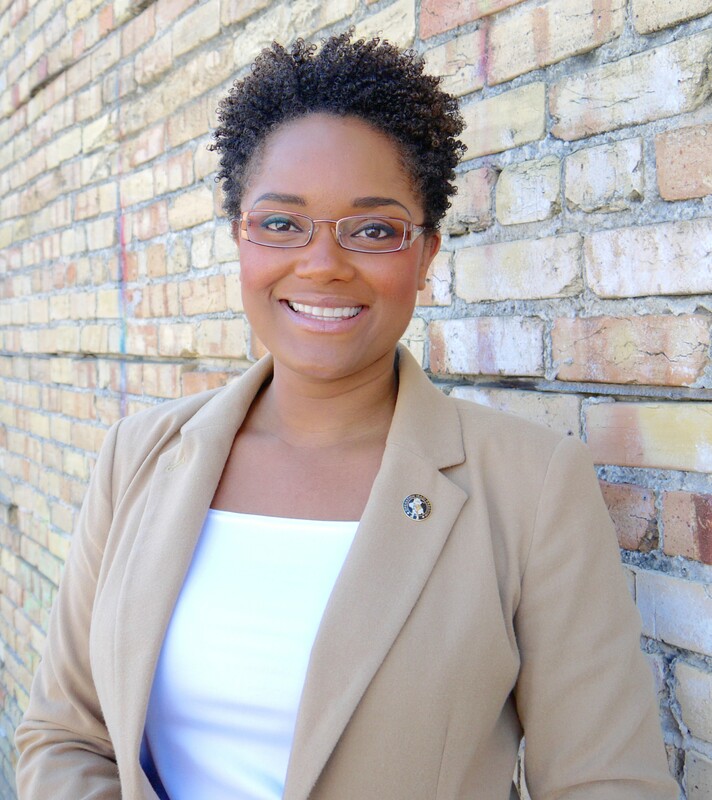 Dr. Jenice Armstead started “Smarter Not Harder LLC” to provide a necessary and innovate service for growing human capital value and organizational management. Smarter Not Harder LLC provides services to both individuals and businesses. Individual services include: mentor coaching, resume development, government job application assistance, business proposal assistance and help with how to start a business. Business services include: human resource management, human resource development, implementation and training courses for organizations to grow their human capital value. Smarter Not Harder LLC portfolio includes management and technical resources, providing solutions devoted to job description development, job classification, job Stress Management, Affirmative Action Plans, Diversity & Inclusion and Government Regulation/Compliance. Our focus is to assist organizations manage human resources management, occupational safety standards and increase productivity. Smarter Not Harder LLC delivers customer-value through addressing the challenges of a changing economy. Showing organization strategies as the foundation for human capital value to constantly grow and develop employees. The workplace is ever changing. Smarter Not Harder LLC provides interactive subject matter expert knowledge for business solutions that make organizations more effective and efficient. Smarter Not Harder has all of your human resources management needs in one place. Being thankful is more than a feeling or a thought, is how we act when we don’t get what we want, when we want it. Thankfulness is about knowing that your situation is working in your favor for your good, for the betterment of who you are to be in this life. When you wake up, before you say anything – you could say “Thank you for my life, thank you my sweet sleep, or thank you for the ability to start a new day.” Each and everyday we have an opportunity to “begin again.” Beginning again is a gift. We get a new start and old things pass away. You have the ability to dwell on your past, or you can take the “new day” and go forward with a thankful attitude. You have an ability to start again with a new day, new way of thinking, and new unforeseen opportunities. Many times when we see the least happening in our lives, that’s when God, Higher Self and the Infinite Divine are working the hardest in our difficult situation. The key to taking hold of the “newness” is to never give up, never give in and have awareness when doubt tries to enter and take your thankfulness away. Being thankful is more than how you think, what you want or what you feel – thankfulness is a way of living. The United States use to have a strong “working class” and status classes were broken down into to Upper, Middle and Poor. Now, there are 5 additional classes to add to the economic status: Working Poor, Poor, Lower Middle, Middle, Upper Middle, Wealthy, Rich and Ultra Rich. There are ways to help one another get through tough times, start a dialogue with the people you see on a daily basis. If you see a need that you can fulfill, do so. I am going to do my part, anyone that needs assistance with writing a resume or help with finding a job – please email me and I will work with you to help improve your job skills, no charge. You are welcome to email me at jenicearmstead@gmail or through my website. Do your part to help someone else that may be going through a harder time than yourself.